Every morning at 5:30 a.m. sharp, the keepers start unlocking the doors of the grandest museum in the world, allowing thousands of visitors to appreciate the extensive collection of sacred art preserved within. These awe-inspiring masterworks, frescoes and sculptures have been administered and assembled by popes over the centuries. Vatican Museum is a magnet for lovers of art, culture and history, enchanting everyone with the immense creative power of its artworks. Exploring the labyrinthine corridors replete with awe-inspiring art is a feast for the senses, but it can be very tiresome. Theoretically, if all the woks are placed edge to edge, it will easily cover 14 kilometres! Clearly, the collection is too big to cover in a single visit. 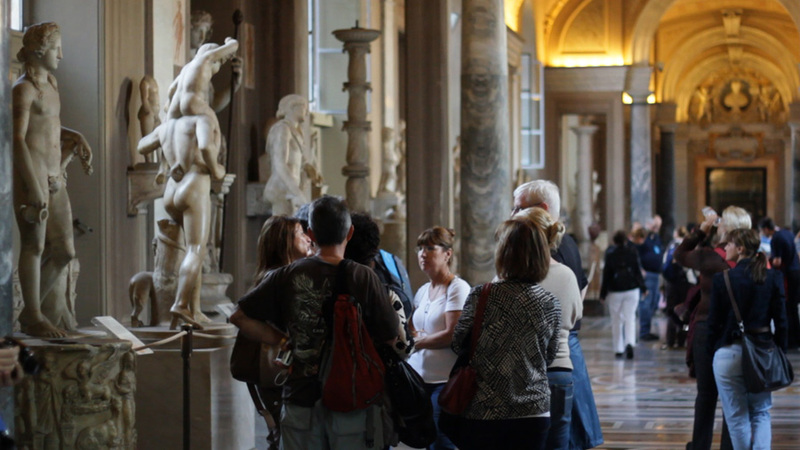 Also, you’ll have to navigate through massive crowds – but that can be avoided if you opt for private tours of Rome for families. The Gallery of Maps displays a spectacular collection of hand painted geographical maps. All the frescoes have been developed following the 16th century drawings by renowned Italian geographer, Ignazio Danti. They give a precise and detailed bird’s-eye view of 40 political regions in Italy. Notice the delicate brushstrokes emphasizing the topography and remember that the maps were painted at an age when there was nothing remotely similar to aerial photography. You can’t help marvel at the genius of these creators! 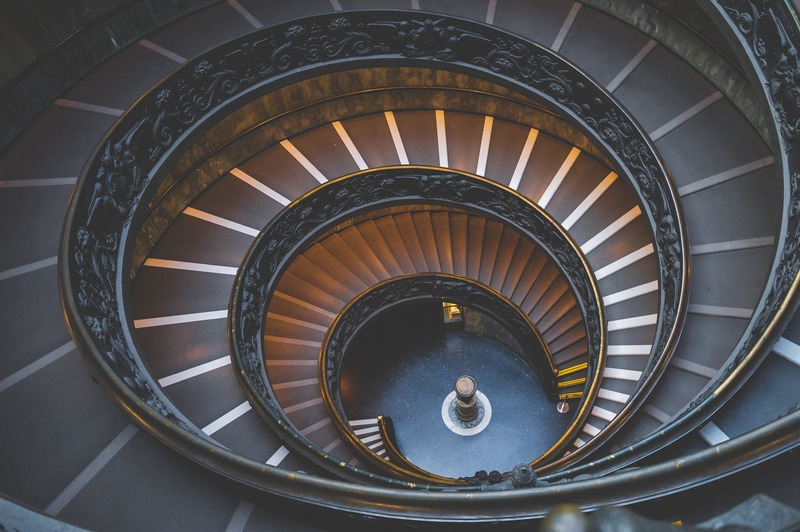 The unique design of the Spiral Staircase will grab your attention instantly. 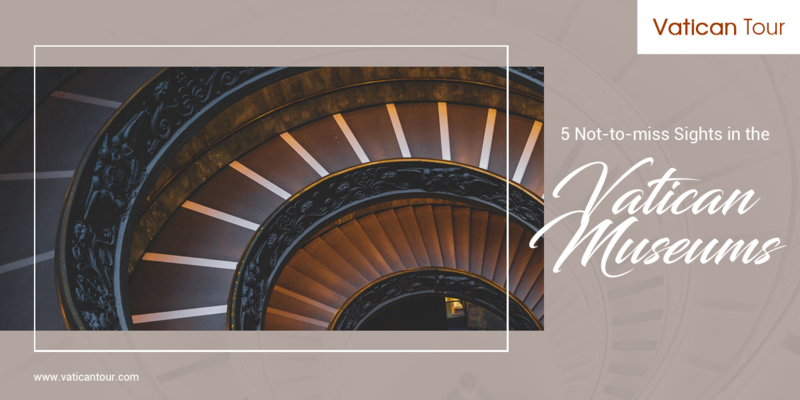 It was designed in 1932 by Giuseppe Momo and modelled on the original double spiral staircase, the Bramante Staircase, which is now closed to the public. The double helix design ensures people going down don’t meet the ones climbing up. The Papal Apartments are so called because this place was once the private residence of the popes. At present, Papal Apartments are admired for the breathtaking collection of frescoes displayed across several rooms. The most admired, Stanze di Raffaello, is a group of four rooms adorned with paintings created by Raphael and other members of his school, in the beginning of the 16th century. 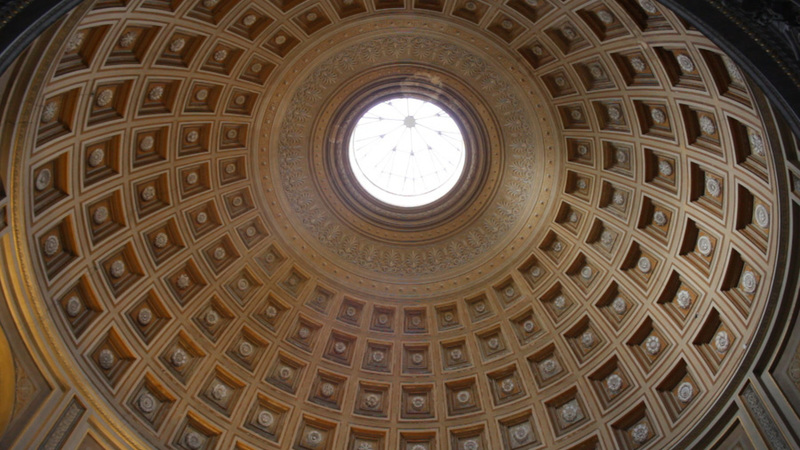 Gazing at the ceiling of the Sala Rotonda, you can’t miss its resemblance to the Pantheon!However, it is much smaller in size and has a more delicate appearance owing to the tiny rosettes filling the square notches. The floor of the room is unique – it is created using ancient, brightly coloured mosaics that originally belonged to a small central Italian town in the 3rd century. The Sistine Chapel isn’t only a valuable treasure of the Vatican City, Rome and Italy, but the world over! 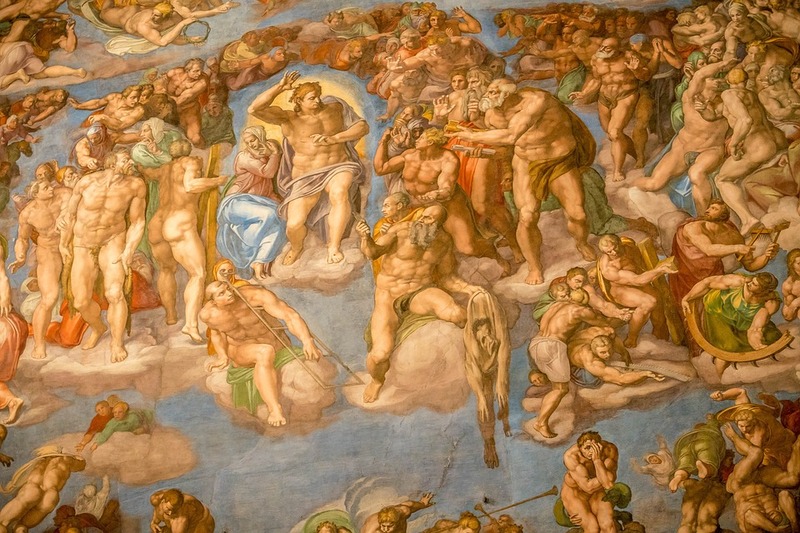 It is home to frescoes like The Creation of Adam and The Final Judgement that are considered to be Michelangelo’s masterworks and highlight his extraordinary artistic talent. 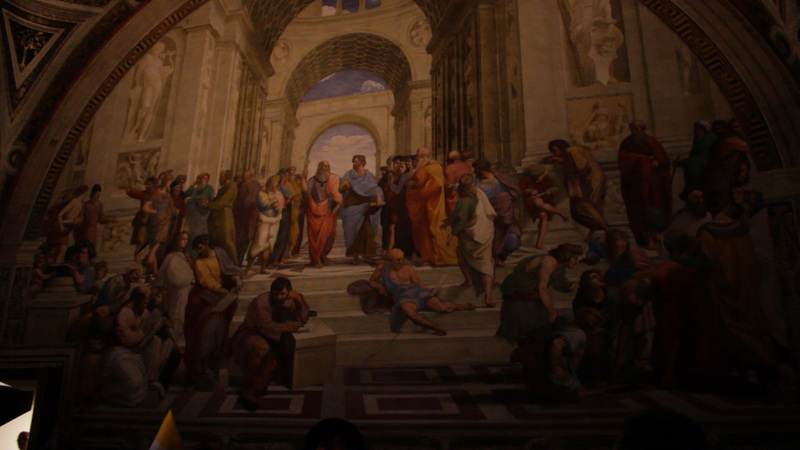 Apart from the resplendent paintings, it is also renowned for being the place where new popes are elected and crowned. 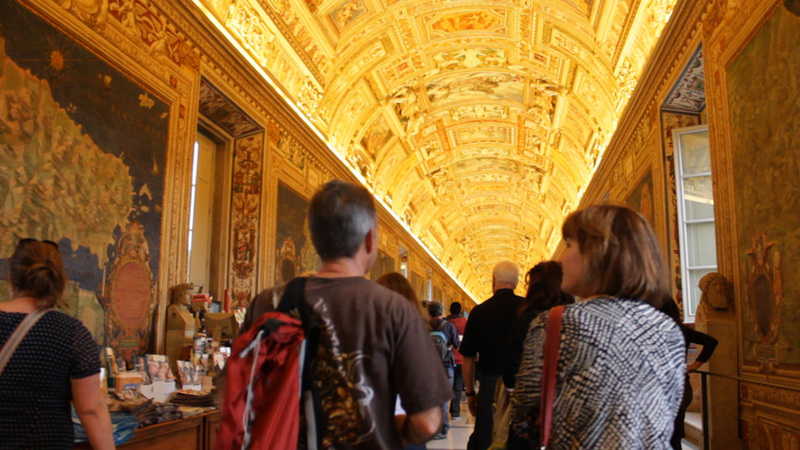 Explore world-famous fine art in the Vatican City through our Vatican and Sistine Chapel tours. Our expert guides thrill you with historical anecdotes and you can also avail skip-the-line advantages.